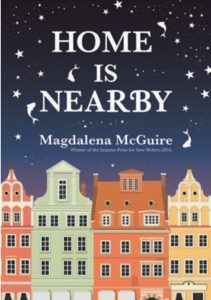 Congratulations to Magdalena McGuire whose debut novel Home is Nearby has recently been published by Impress Books. Magdalena won 3rd prize in the 2015 Bristol Short Story Prize for her story Birthday Bones, which was published in our 8th anthology. Magdalena was born in Poland, and grew up in Australia. 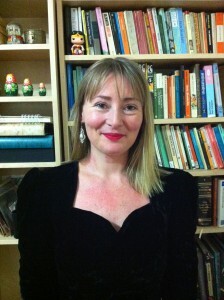 She lives in Melbourne and is studying for a PhD in Creative Writing. We took the opportunity of finding out more about the novel and her work. Why did you want to write about 1980s Poland? There are lots of World War Two books about Poland. However, hardly any examine the aftermath of the war, when a totalitarian regime was violently imposed on the country. In the 1980s thousands of Poles fled the country for political and economic reasons – many of them ending up in countries such as the United Kingdom and Australia. This is such a dramatic and significant period in history, so I was surprised to find out that it’s underexplored in fiction. As soon as I found this out, I knew this was the right era in which to set Home Is Nearby. You have spent most of your life in Australia; how did you approach researching the background and history for the novel? I was lucky enough to go on a research trip to Poland before I started writing the book. While I was in Poland, I soaked up the atmosphere of the place, and went to lots of museums and galleries, eventually coming across an art exhibition called The Wild West: A History of Wrocław’s Avant-Garde. The exhibition blew me away. It revealed that the art scene in Wrocław, where I wanted to set the book, was wilder than I could have imagined. After that I couldn’t wait to start writing. What influence do you think your human rights work has had on your writing? Doing human rights work gave me a passion for social justice issues – something that pervades Home Is Nearby. The characters in the novel are pushing back against a repressive political regime and trying to figure out how to live their lives authentically in a country that no longer represents their values. Though the book is set in the 1980s the political and human rights issues that it explores are, of course, particularly relevant to us today. Do you think that studying for a PhD in Creative Writing has changed you as a writer? I wrote my novel quite quickly at the beginning of my PhD and was left to my own devices in that respect, so I’m not sure if the course has shaped my writing as such. However, one thing that it has done is made me feel that writing is a legitimate pastime. This is something that’s particularly important to me now that I’m juggling writing with work and study and looking after a baby. What role have writing competitions played in the development of your writing? Entering writing competitions can be a difficult process, and I always remind myself that the judging process if subjective. Just because a story hasn’t placed in a writing competition, it doesn’t mean it’s not any good. I think that’s important to bear in mind in one’s development of a writer. Having said that, writing competitions have been critical for my writing career. For example, getting a story published in 8th Bristol Prize anthology gave me a huge boost of confidence and made me think that there could be an international audience for my work. This experience gave me the confidence to enter the first few chapters of my novel into the Impress Prize competition, which I ended up winning. Impress Books then went on to publish my novel, Home Is Nearby. So if it hadn’t have been for the encouragement I got from the Bristol Prize, who knows if that would have happened! I’m doing research for my next novel, called Principles of Chemistry, which is set in post-World War Two Poland and Germany, and 1990s Australia. Short stories are my first love, when it comes to writing, so I’m trying to work on some of those, too! Home Is Nearby is available now at bookshops, online and direct from the publisher.